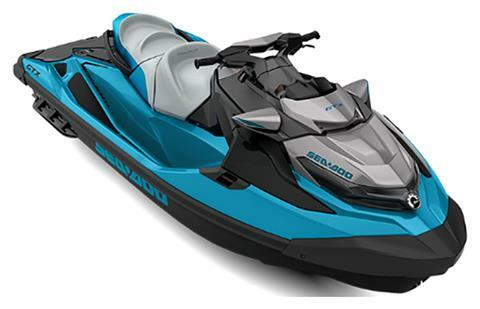 The 1st watercraft to hang out on water with the largest swim platform in the industry and a removable seat allowing to lounge or enjoy a picnic. Plus, the possibility to add a Bluetooth Audio System and extra cargo, like a cooler. The standard for watercraft touring. MODULAR ERGOLOCK SEAT: The narrow seat places your knees closer together in a natural riding position, while the stepped seat design provides more lateral support and stability for you and your passengers. Plus, the removable rear seat gives you even more space for hanging out, sunbathing or a face-to-face picnic. LARGE SWIM PLATFORM: The first watercraft to hang out on the water with the largest swim platform in the industry. Flat, stable and comfortable, it is ideal for boarding, lounging, and prepping for tow sports. Create even more space by removing the rear seat. ST³ HULL: Whether you’re at high speeds pounding rough offshore waters, at rest hanging out in a cove or you’re simply boarding from the side, the wider hull offers industry leading stability thanks to a lower center of gravity and improved hull design. DIRECT ACCESS FRONT STORAGE: All your gear is now within arm’s reach. The industry’s first direct-access front storage opens by simply raising the handlebar assembly. No standing required. 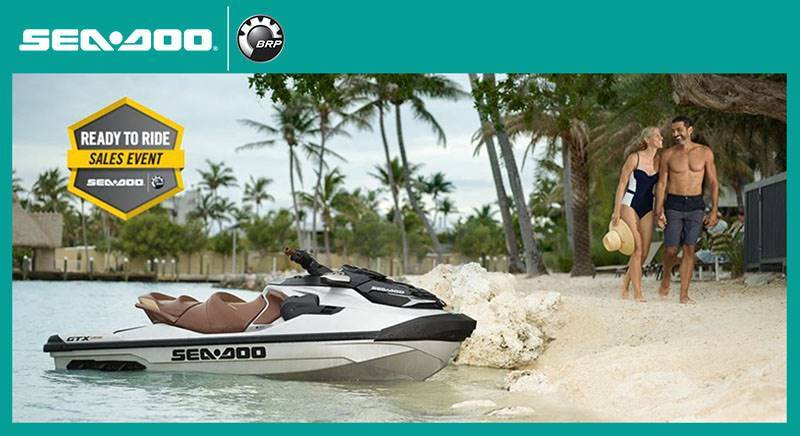 It's the smartest water-resistant storage we've ever built into a watercraft, offering room for your next adventure. REAR CARGO LINQ SYSTEM: Extra rear storage is now possible with the secure Quick-Attach LinQ System. It allows to easily snap a fuel caddy, a bag, a cooler and more, to the back of your watercraft using two convenient, integrated attachment points. BLUETOOTH AUDIO SYSTEM: The industry's first fully-integrated waterproof Audio System will keep the fun going anywhere you go, with 100 watts of total system power, fully-waterproof performance, Bluetooth connectivity, and external playback controls to ensure the perfect song is always on deck. WATERTIGHT PHONE BOX: A watertight compartment with integrated USB port* allowing your devices, including phones or action cameras, to stay charged and ready to go—snug in an impact-absorbing, watertight cradle. TOURING FEATURES: Spend all day touring with these standard features: Tilt Steering, Cruise Control and Slow Mode and a Boarding Ladder for pure comfort. 2 ENGINE OPTIONS: Choose between the proven Rotax 1503 NA or the more powerful 230-hp Rotax 1500 HO ACE equipped with the Advanced Combustion Efficiency technology. 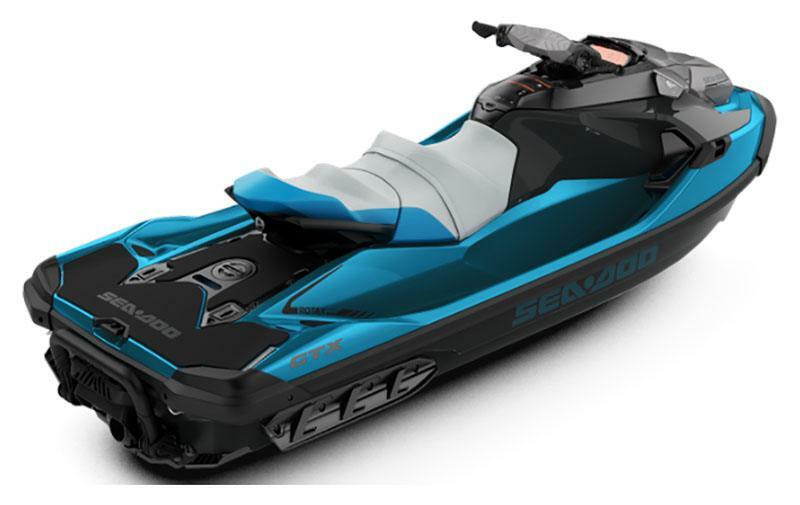 HIGH-PERFORMANCE VARIABLE TRIM SYSTEM: Quickly access the Variable Trim System (VTS) on the handlebar for fine-tuned handling based on rider preference, water conditions, and number of passengers. 7.6" WIDE DIGITAL DISPLAY: The all-new 7.6" wide digital display offers riders an improved user experience when cycling through modes and locating vehicle information. It also features an automatically dimming backlight that ensures high visibility in any light. The larger display area, as well as large digital numbers and letter, makes for improved visibility when riding. BOARDING LADDER: Retractable boarding step designed for your watercraft. Makes boarding from the water much easier. Spring-loaded platform that stays in the "up" position.